January 30, 2019 (Fairfax, Va.) — In response to fundamental changes in the insurance industry that are driven primarily by rapidly advancing information technology, BRAMCO Financial has partnered with Vive Solutions, LLC to re-launch Vive – a groundbreaking multi-carrier end-to-end term insurance platform. Vive offers a unified platform for quoting, product selection, direct order submission, tele-app, and automatic requirement fulfillment, all the way through to policy delivery. Through Vive, advisors have the ability to access multiple quotes from partner carriers, initiate the tele-application process, obtain an AU decision, and if necessary, initiate requirement procurement. In addition, the revolutionary Vive Score allows agents to evaluate products based upon the carrier’s financial ratings, conversion privileges, product features, and ability to offer AU – where the carrier offers accelerated underwriting with no exam, blood or physician statements required. 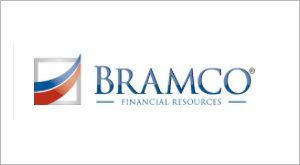 BRAMCO Financial LLC is one of the country’s leading independently-owned insurance brokerage firms, representing a network of 15,000 financial advisors who produce more than $250 million in life premium and $1.5 billion in annuities annually. BRAMCO is committed to delivering support to its partner firms, focusing on providing service, support, and business and practice development alternatives for the purpose of delivering the highest level of consumer value.